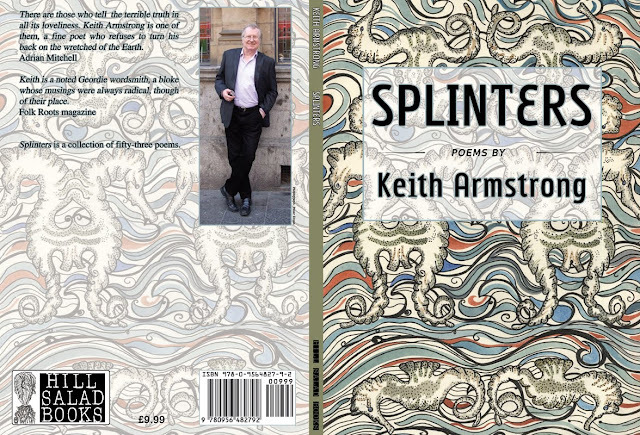 I've just completed reading Splinters, and wanted to let you know how much I've enjoyed and been stimulated by it. Congratulations on a noble collection and a fine achievement. LIVE IN HECKENHAUER'S BOOKSHOP, TUEBINGEN! fell, flat on his face, in the Tuebingen mud. and the dust fell on Heckenhauer’s Bookshop. shone in the moonlit gutter. Note: The writer Hermann Hesse (1877-1962) was born in Calw and, at the age of 19, began a four year period of work in Heckenhauer’s bookshop in Tuebingen. It was then that he began writing and, during this time, he published his first poems as ‘Romantic Songs’. TWIN THE WEAR WITH THE VOLGA! 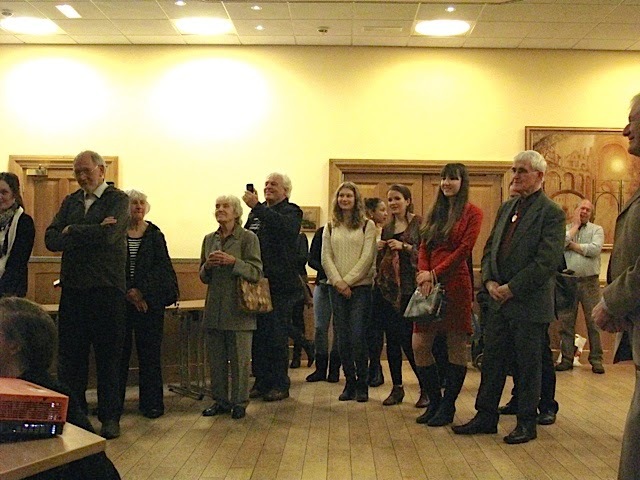 Reception for Kostroma delegation at Durham Town Hall. let salmon jump in Red Square. let a peaceful breeze blow here. his face is all ruddy and red. from Kostroma to Crook Town and back. Spread out your nets and your arms. 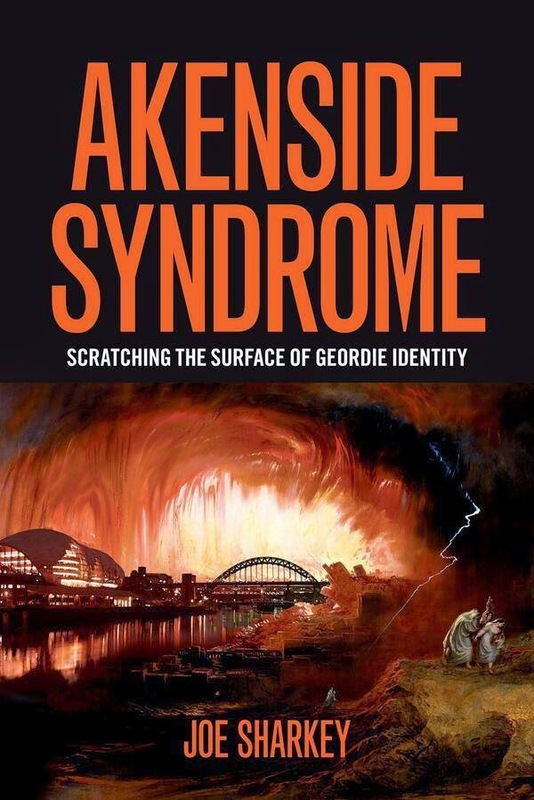 and Igor a sweet Wearside lass. he’s from an Easington back lane. there’s a Marxist tattoo on his chest. as the river slides from yellow to black. Hold the smile on your face. and fly to the Urals with me. Many thanks for last night. Everyone found it very interesting. 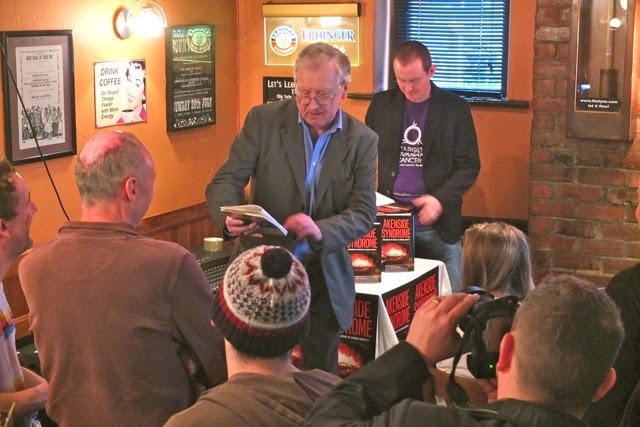 A number of people spoke to me about how the material was delivered in an accessible way. You certainly whetted many appetites, as the questions demonstrated. A fine piece of missionary work. 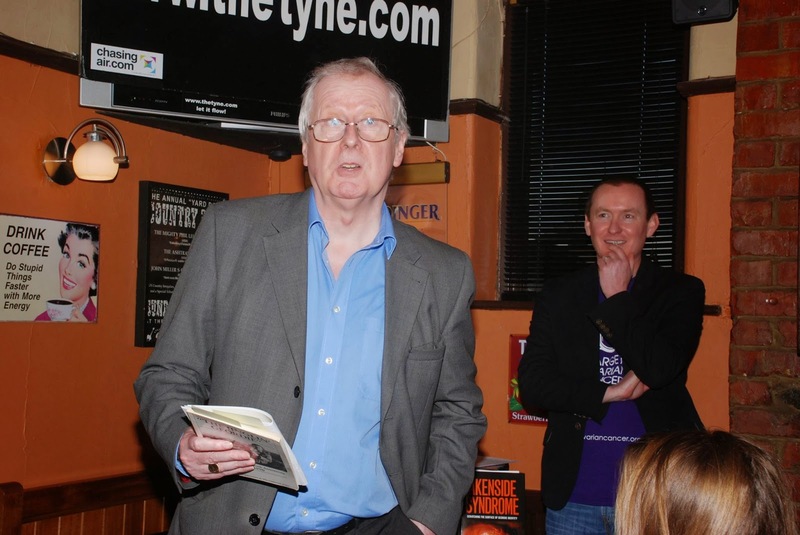 Brian Bennison, North East Labour History Society. 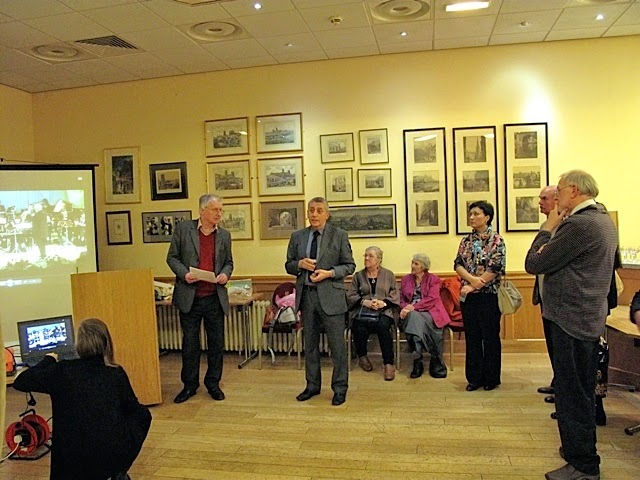 A revolutionary document that lay undiscovered in a Newcastle library for over 200 years has just been published. Thomas Spence’s penny pamphlet Property and Land in Every One’s Right is one of the founding texts of the English radical tradition, pre-dating Marxism. Believed lost for many years, the original has not been in print since 8 November 1775. This year marks the 200th anniversary of the death of its author - an important and original voice in political history. 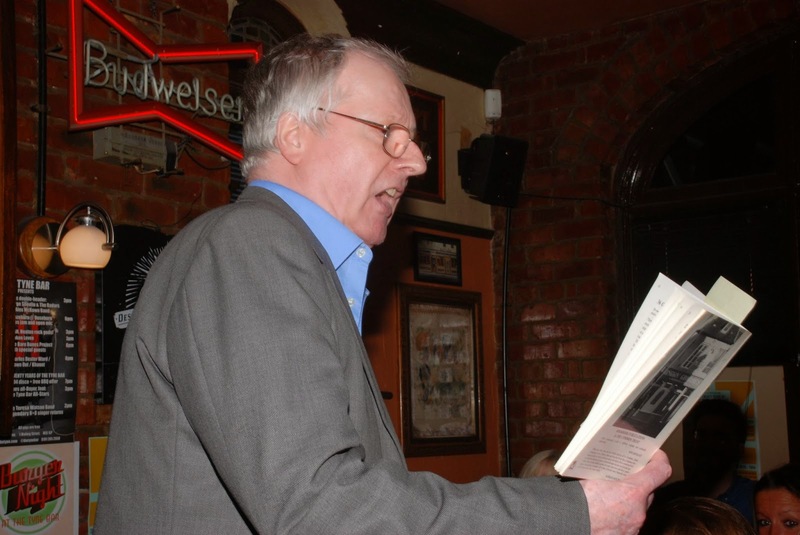 Thomas Spence: The Poor Man’s Revolutionary is edited by Prof Bonnett and local poet Keith Armstrong, and includes expert opinions from all over the world about the wide-ranging impact of this unique, working-class polymath. To reach a mass, semi-literate audience, Spence invented his own phonetic alphabet and spread his message in unique ways, issuing thousands of coins embossed with political messages. “Perhaps Spence can be best summed up by one of the inscriptions he placed on one of his self-minted coins, the coin his friends chose to place in his coffin,” says Prof Bonnett. “It depicts a cat, staring straight out at us, and around it are the words, ‘IN SOCIETY LIVE FREE LIKE ME’. 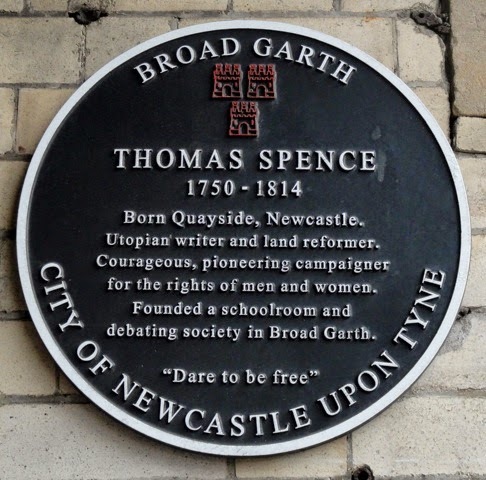 Born into poverty on Newcastle Quayside in 1750, Spence is seen as the father of children's rights. He also accorded women equal democratic rights and is believed to be the first person to write about 'the rights of man' in English. (i) Dr David Garner-Medwin, who died in June 2014, was leafing through some battered 18th century documents at the Literary and Philosophical Society when he came across an intriguing penny pamphlet titled ‘Property and Land in Every One’s Right, dated 8 November 1775. 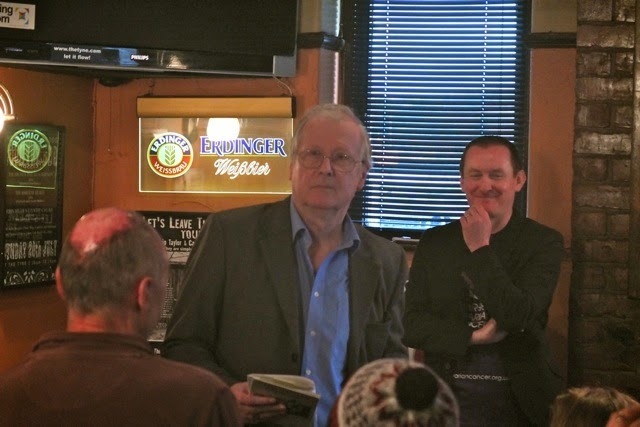 He immediately recognised it as one of Thomas Spence’s founding texts of the English radical tradition. (ii) Three years after Spence’s death an Act of Parliament was passed prohibiting ‘All societies or clubs calling themselves Spencean or Spencean Philanthropists’. 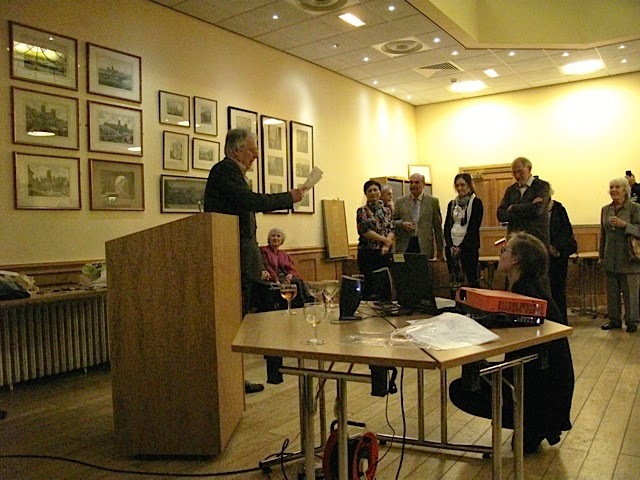 (iii) Prof Bonnett will be discussing Thomas Spence: The Poor Man’s Revolutionary, with joint editor Dr Keith Armstrong, at the North East Labour History Society Open Meeting at 7pm on 18 November 2014 at the Lit & Phil, Newcastle.